There doesn’t appear to be much action in this forum. I know that the rise of Unity, Cryengine and Unreal appears to have dramatically impacted on Ogre, which is a shame. I like Ogre for art, probably because I have been using it for a while and am more used to it. I like that it is specifically graphic orientated too. Give me more options as to how to add in my own physics etc. Anyway, in the interests of seeing how many people are still active on this forum, I have a question. I bought a Nintendo 3DS online - http://www.for-sale.com/nintendo-3ds-xl-accessories -recently, mostly to play Mario Kart while I’m on the move. It’s a pretty slick device though the 3D makes my eyes go a bit cross-eyed. I actually preferred the PSP though. I liked the stick actions and the display. Some good games for it too. What are your favourite handheld consoles and games? Can be from any era. Just the one that you played the most and got the most joy out of. It's an ARM Cortex A8 based gaming handheld about the same size as a nintendo ds. 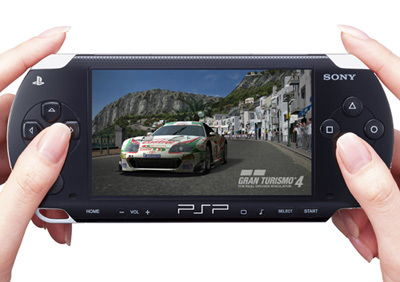 Full size usb 2 port, resistive touch screen with stylus, dual analog joysticks, shoulder buttons, dual sd card slots with custom container format for auto install/uninstall of software when you insert a card, massive battery life, excellent audio quality and can emulate a Playstation 1 and Amiga at full speed. Pretty much every retro gaming emulator has a version for Pandora, you can even run dosbox games like Balders Gate. It runs a desktop release of Linux (Angstrom), so when you aren't gaming you have office apps, C++ dev environment, bash console, etc. Nothing to root, no restrictions, everything is open. The sequel is currently in development: The Pyra. Much more powerful. I've got it on preorder. Before that, I used to do GBA development, but I didn't really like the platform itself (fun to code for, but I didn't use it for personal gaming). I guess the only other handheld I liked for gaming was playing Pocket UFO (a great mobile port of the first XCOM game) on my Dell PDA.